Mute swans with 8 cygnets. 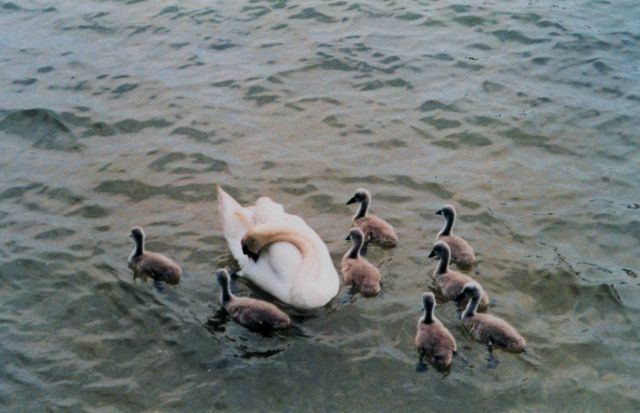 Mute swans are an agressive invasive species. There are now over 3,000 mute swans in the Maryland portion of the Chesapeake Bay.